Washing Machine Will Not Fill With Water – Keeps Draining – How To Fix? If your Washer fills with water but constantly drains out, there are a few possible reasons. 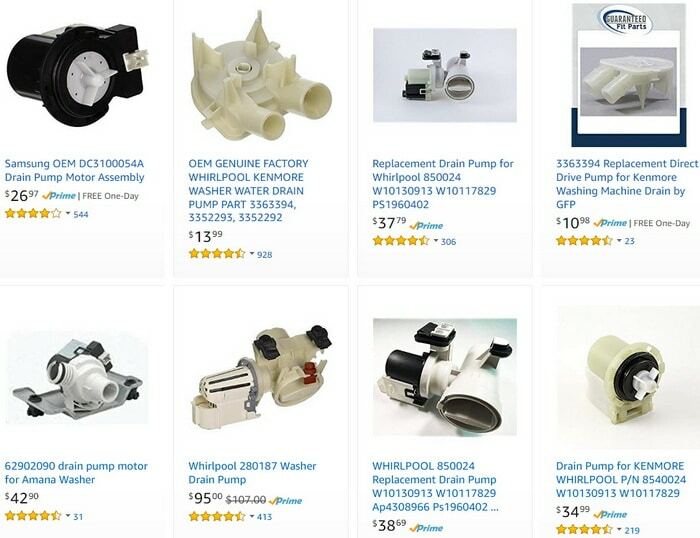 Most likely the water coming into the washer through the Water Inlet Valve could be siphoned out to the drain pump and out the drain hose because of an issue with the pump or plumbing. 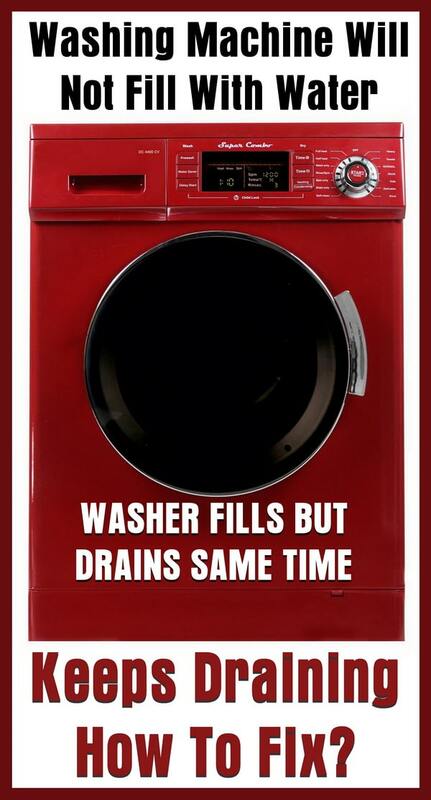 Is your washer overfilling? Is the washer detecting an overheat error? Observe carefully as to what part of the washing cycle the water is draining out. By watching the washer as it goes through its wash cycle, you can find out which part or error is causing the Washing Machine To Not Fill With Water and Keep Draining issue. -Is the water coming into the washer getting immediately siphoning out – pump not running? -Is the drain pump pumping the water out as it comes in? -Is the stand pipe positioned correctly behind the washer? 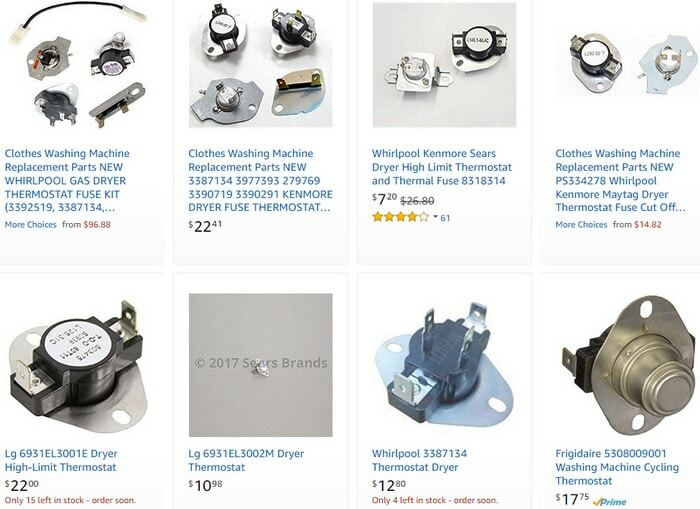 -Is the washer overheating which could be a faulty thermostat? The drain pump may be faulty and stuck OPEN and letting the water siphon directly out of the washer as it fills. The drain pump has a fault and is CONSTANTLY PUMPING the water out as the water comes in. The standpipe is in wrong position and creating a siphoning effect. The thermostat is faulty and overheating thus causing the washer to energize the pump and drain out water. If the water coming into your washer is not being PUMPED out by the drain pump but does DRAIN OUT than this means the pump is stuck open and draining all the time or constant draining. HINT: The pump may be jammed up with a sock or other object that is causing it to not close properly. -If the washer does NOT sense it is draining out the water as it fills… it can keep washing or rinsing before not having enough water. -This then triggers more water to come in. -Your washer may get stuck on this cycle which is called called SIPHONING. -Siphoning happens when the end of the washer drain hose is lower than the level of the water inside the washing machine. -Siphoning may begin by the force of gravity. -Siphoning may begin when water is first pumped out of the machine. NOTE: If the drain pump is running it is not siphoning. If siphoning is occurring with your washer, first check the drain pump to make sure nothing is jammed or stuck within it or in a hose next to it. If the drain pump is NOT in working order, replace the drain pump after testing it with a multimeter. WASHER DRAIN PUMP CONSTANTLY RUNNING – OVERFILLING? -Do you hear the drain pump running and the water is being pumped out? 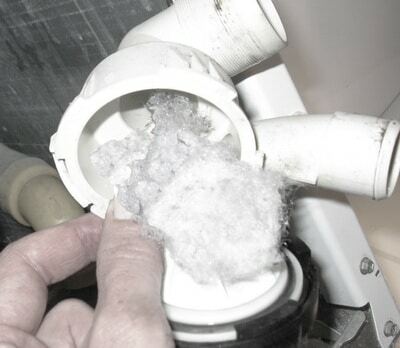 -This may be an overfill issue with the washer not sensing when to shut off the water. -If so the pump might be aborting the wash cycle or has a fault and needs to be replaced. -If this happens usually your washing machine will display an error code to tell you what part is causing the problem. -If you do get an error code, check our website here for error code definitions. -Just type in “YOUR BRAND OF WASHING MACHINE” and type “Washing Machine Error Codes” after you type in your brand of washer. -The stand pipe plumbed into the washer drain hose should have a Drain Outlet Hose Hook, a U-Bend to add a hook shape to the drain hose. -This helps keep the drain hose from falling out. 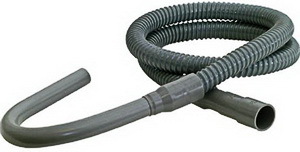 -This helps keep the drain hose from being pushed down too far. 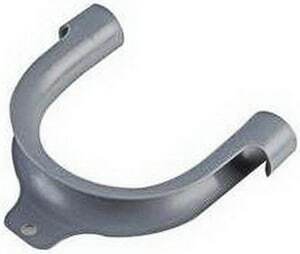 -The length of the washer drain hose sticking out of the crook can be from 4″ to 5″. -The washer drain hose needs to be secured so that it goes up a few inches before running down to the washer pump to prevent the siphoning issue. -The end of the drain hose should not be lower than the water in the tub, think about gravity and how water could be siphoned. -This issue can also be caused by a faulty thermostat. -The water may start or stop then energise the pump and repeat. -If you suspect this to be the cause of your washer issue you can test the thermostat AKA = THERMISTOR to be sure it is in working order. My washer is filling as normal, but the drain pump is running during the fill cycle, and not letting the machine fill. Did you check to see if it is a siphoning issue? Is the drain hose too far into standpipe?